Birds of the Heath: Old friends return! 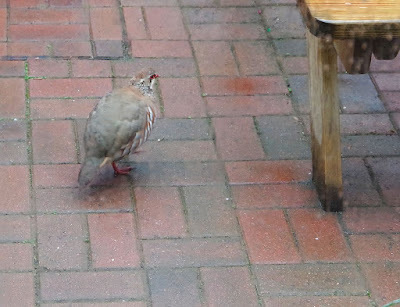 Probably because of the large amounts of seed Linda puts out, but also because our garden has lots of cover and roost-sites, we have a semi-resident pair of Red-legged Partridges. (We can recognise them because the larger of the two has a pronounced limp.) 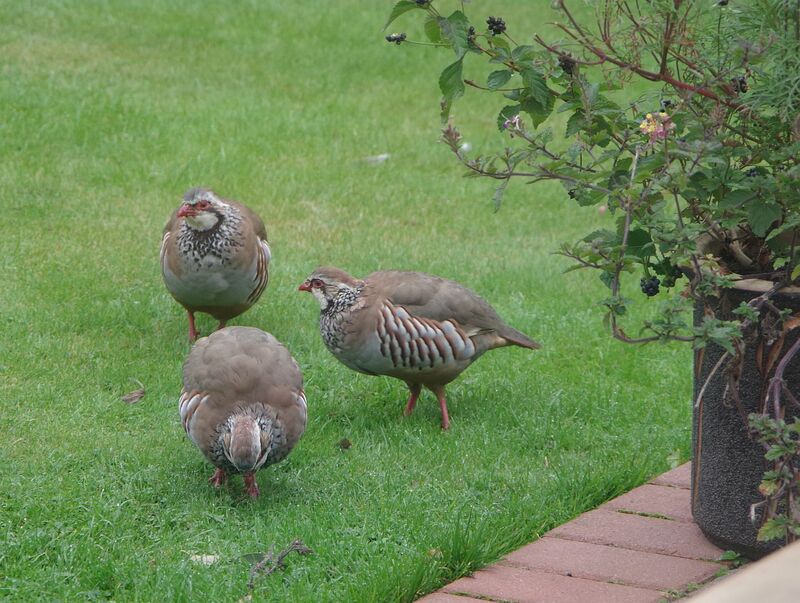 They generally disappear during the Summer months (occasionally roosting on our roof) but return in the Autumn. 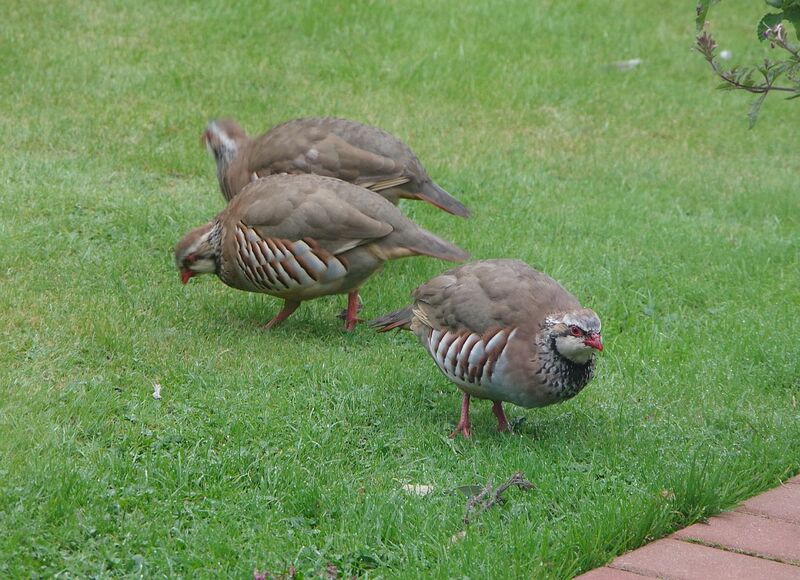 They generally feed on the lawn or around the pond and habitually shelter from bad weather under our patio table. 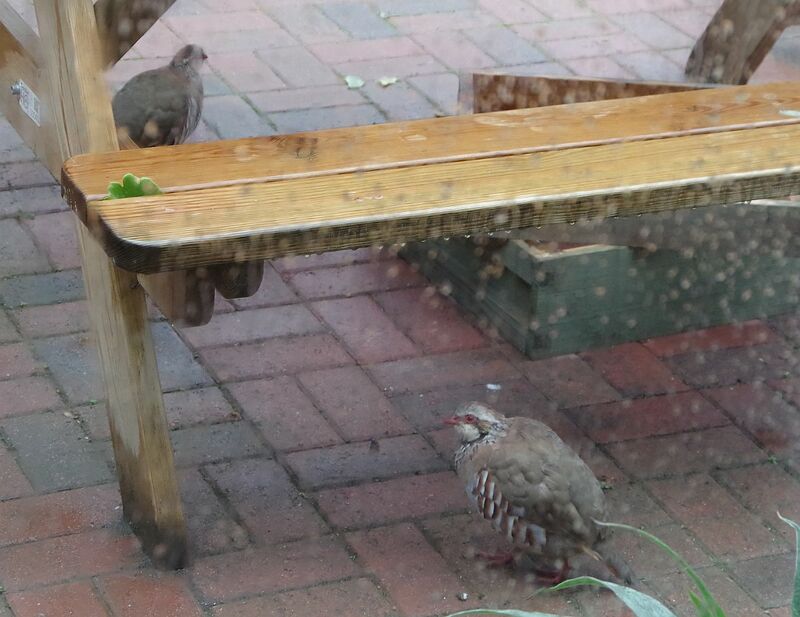 Today they brought a friend to visit! White-tailed Eagle slips through the net! Excellent raptor action at Strumpshaw Fen! The International Meteorite Show: home safely! International Astronomy Show: day one!